We earlier reported that AMT version of Maruti WagonR was spotted testing in India. Maruti Suzuki today made an announcement that they will be offering the acclaimed Auto Gear Shift (AGS) technology in their popular Maruti WagonR and Stingray. The new auto gear shift transmission will be made available in VXi variants of both these models. In addition to this, the WagonR gets driver and co-driver airbags and also the Anti-lock Braking System (ABS) will be offered as an option across all its variants, including the base variant. The Auto Gear shift feature was first offered in Alto K10 and Celerio. Auto Gear Shift which is also known as Automated Manual Transmission (AMT) is equipped with an Intelligent Shift Control Actuator that automatically performs clutch and shift operations. Auto Gear Shift combines the actuator and controller and directly mounts them in the transmission in order to unify the working components. This permits synchronized control over the clutch and engine for smoother gear changes. The shifting time is also shortened as compared to conventional automatic transmissions. The all new WagonR is mated with the 1 litre K-next engine, the new generation transmission with optimized ECU calibration helps WagonR and Stingray deliver high fuel efficiency. The AGS variants of both these models offer a mileage of 20.51 kms per litre which is same as that of the manual transmission. The video here demonstrates the working of AGS (Auto Gear Shift). Since its launch in the year 2000, over 16.95 lakh units of Maruti WagonR have been sold till date. Maruti WagonR is available in both petrol as well as the CNG fuel options. 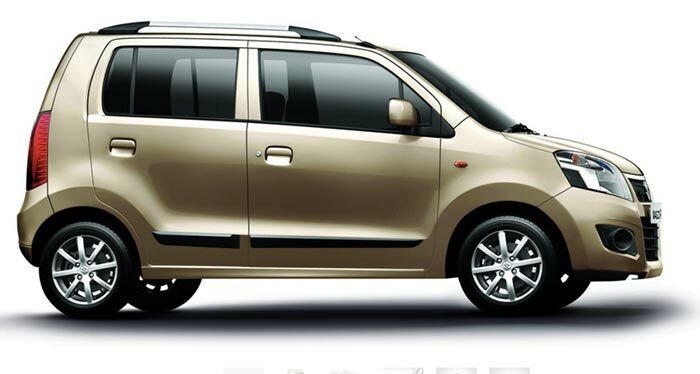 The introduction of Maruti Stingray in 2013-14 added excitement to WagonR portfolio. With the introduction of AGS (Auto gear shift) and more safety features, WagonR is looking to set new standards in the hatchback segment in India.